Da Capo Press, 9780306822575, 320pp. 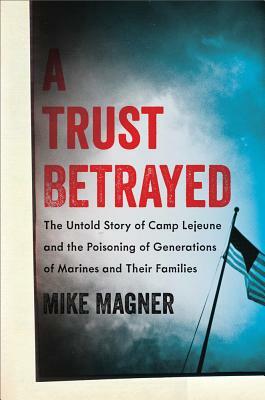 While the big bad corporation has often been the offender in many of the world's greatest environmental disasters, in the case of the mass poisoning at Camp Lejeune the culprit is a revered institution: the US Marine Corps. For two decades now, revelations have steadily emerged about pervasive contamination, associated clusters of illness and death among the Marine families stationed there, and military stonewalling and failure to act. Mike Magner's chilling investigation creates a suspenseful narrative from the individual stories, scientific evidence, and smoldering sense of betrayal among those whose motto is undying fidelity. He also raises far-reaching and ominous questions about widespread contamination on US military bases worldwide. Mike Magner is managing editor at National Journal, a highly respected print and online publication for Washington insiders, and is the author of Poisoned Legacy: The Human Cost of BP's Rise to Power, published by St. Martin's Press in 2011. He has been a journalist for 37 years, including 15 years in the Washington Bureau for Newhouse Newspapers, five years with the Natural Resources News Service and five years at the National Journal.